Shopping for Star Wars Wallets? 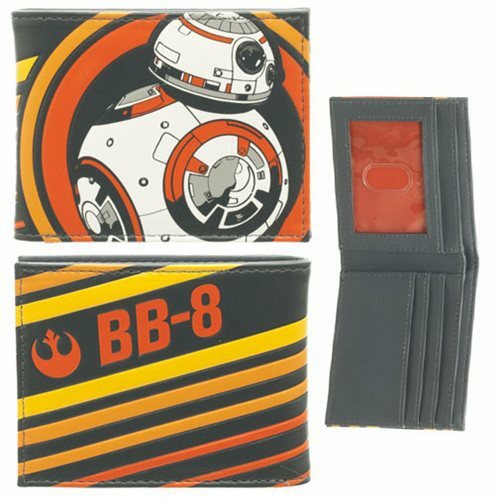 His name, his colors, his cute-as-can-be image - they all come together in this fantastic Star Wars: The Force Awakens BB-8 Bifold Wallet. Get one for yourself or any BB-8 lover you know! Includes a window display slot for your ID and four credit card slots. Ages 13 and up.